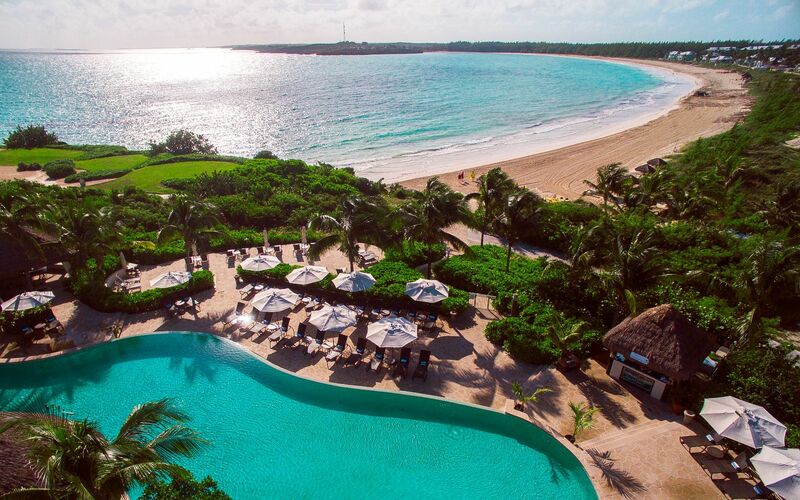 Step into paradise on Great Exuma. It has always been the best kept secret of savvy tropical vacationers. 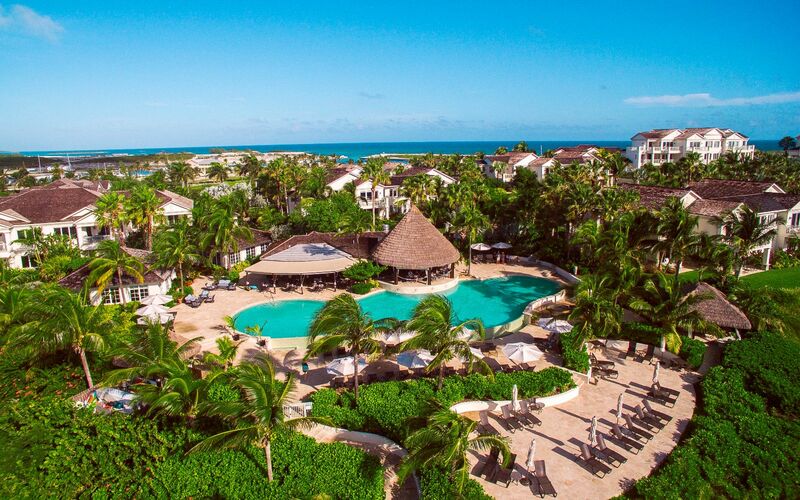 Great Exuma and its Cays are the most exotic of the Bahamas Out Islands, like a collection of precious gems, the islands are set in a sea of Technicolor blues bordered by ivory beaches. Gentle winds help maintain a balmy and warm tropical climate year-round, making Exuma an ideal vacation spot for any season. 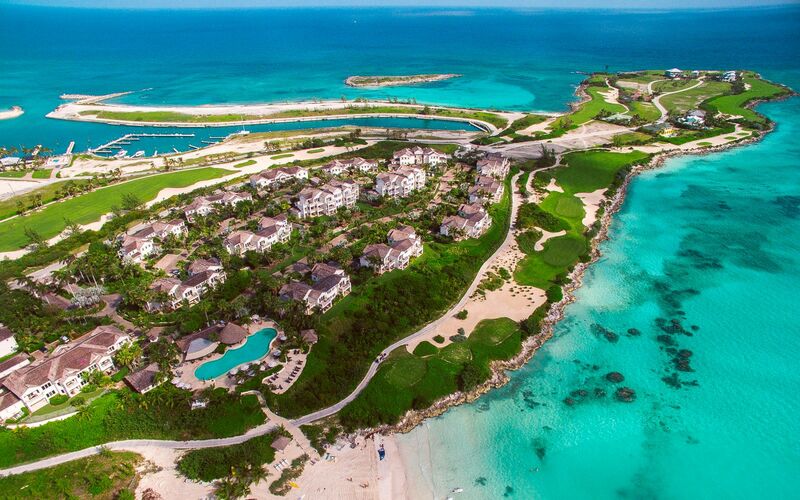 Great Exuma is all about life on and in the water. It's the stunning beauty of the Exuma cays and the amazing creatures that call it home. 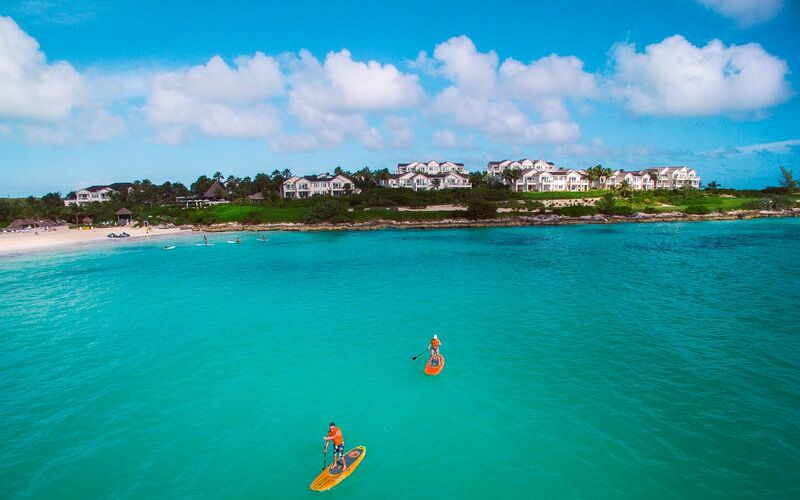 From snorkeling and diving among vibrant coral reefs to championship golf with ocean views and world-class fishing, you'll enjoy endless opportunities to explore Great Exuma's unrivaled natural surroundings and local culture. No visit is complete until you’ve taken a swim with the world-famous swimming pigs. An experience you and your children will never forget. 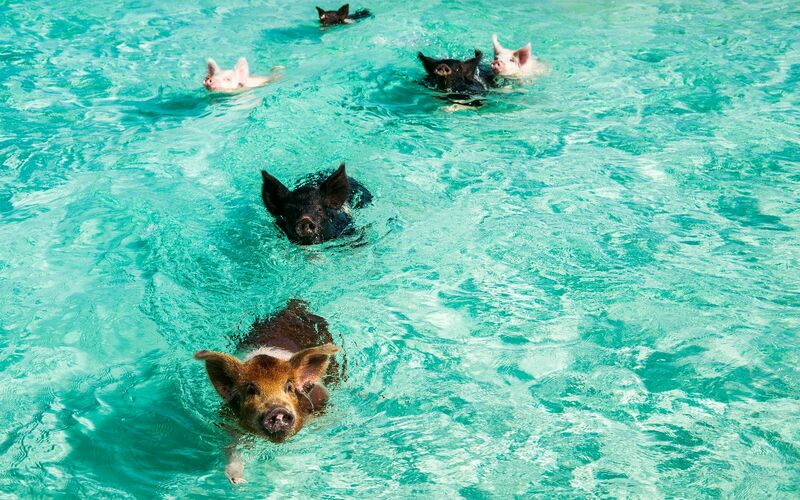 If swimming with pigs isn’t really your thing, you can rest assured knowing there is plenty of other activities including feeding stingrays, kite surfing, snorkeling and diving, stargazing, beachcombing and roaming with the iguanas on an organized boat excursion. 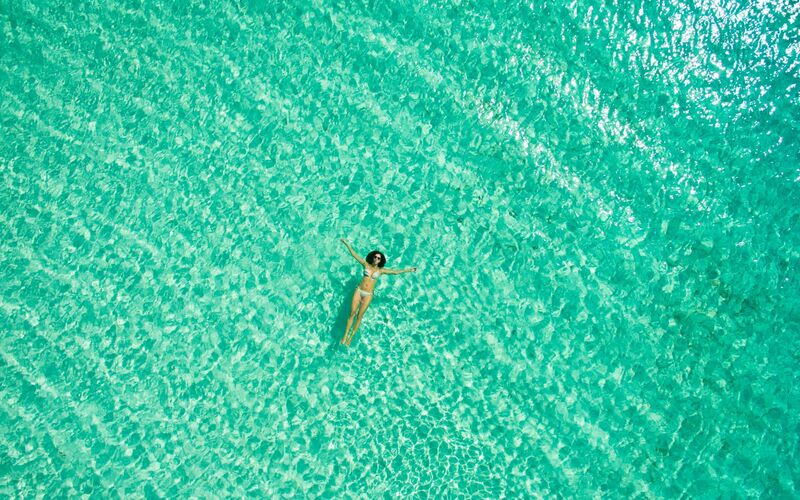 Great Exuma enjoys warm weather year-round that is perfect for swimming in the sapphire-blue waters or watching the sunset with a drink in your hand. Some travelers may assume that the Bahamas and the Out Islands are uncomfortably hot in the summer, but given its unique tropical location, there are minimal temperature fluctuations from season to season. 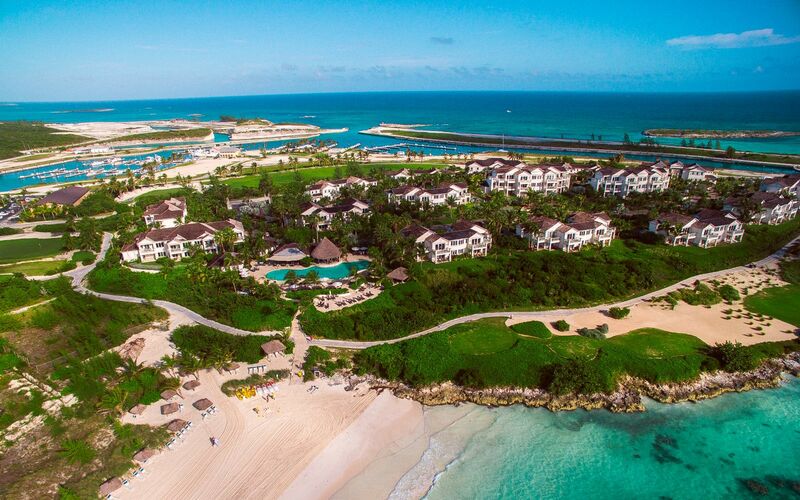 This makes Great Exuma an ideal Caribbean destination throughout the year. Rainfall 2.0 in. 1.0 in. 1.1 in. 2.3 in. 4.4 in. 6.1 in. Rainfall 2.4 in. 5.4 in. 5.3 in. 8.9 in. 2.9 in. 3.6 in.